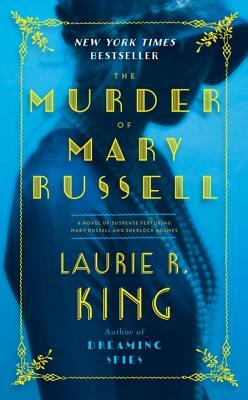 NEW YORK TIMES BESTSELLER • Laurie R. King’s Mary Russell–Sherlock Holmes series weaves rich historical detail and provocative themes with intriguing characters and enthralling suspense. Russell and Holmes have become one of modern literature’s most beloved teams. But does this adventure end it all? Mary Russell is used to dark secrets—her own, and those of her famous partner and husband, Sherlock Holmes. Trust is a thing slowly given, but over the course of a decade together, the two have forged an indissoluble bond. Laurie R. King is the New York Times bestselling author of fourteen Mary Russell mysteries, five contemporary novels featuring Kate Martinelli, the Stuyvesant & Grey novels Touchstone and The Bones of Paris, and the acclaimed A Darker Place, Folly, Califia’s Daughters (written under the pen name Leigh Richards), and Keeping Watch. She lives in Northern California.